Saswat is an experienced health services researcher. Previously he worked on behavioral economics and marketing interventions for combating childhood obesity at the University of Georgia (UGA), and influenza epidemiology research at the CDC. He is primarily interested in healthcare technologies and healthcare. 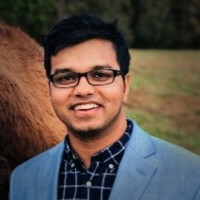 Saswat has a bachelor’s degree in Biomedical Engineering from Georgia Tech, and an MPH degree in Health Policy and Management from the University of Georgia.